There is no denying that there are giants roaming in the shredding industry. 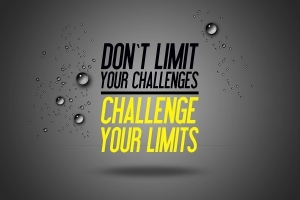 How we choose to compete against these giants could mean choosing between success or failure. This article explains some of the challenges that are being presented to independent shredding companies, and some opportunities on how to come out on top. If correct, five consecutive years of 5 percent decreases is a one-third reduction in paper demand. This will negatively impact long term purge business and the daily accumulation of paper in offices. The market size of vended shredding companies is not authoritatively known. The table assumes 1,500 smaller shredding companies average $400,000 in annual sales. Most local shredding companies operate only 1 to 2 trucks. It’s very unusual for the top two companies of an industry to have a 65% market share- especially in a low capital-entry business. The reason for this is grounded in economics. As market dominant firms add their last groups of customers, operating costs grow exponentially. For this reason and to satisfy their Wall Street and investor stakeholders, prices must be high. This is precisely where local shredders make inroads and an equilibrium point is established – often this equilibrium is at 50% market share. If smaller companies keep their operating costs down and their prices for shredding services low, it may become economically impractical for the top companies to maintain their current market share. Nationwide there are more than 5 million companies with fewer than 100 employees that employ over 40 million people – about 40% of the total U.S. work force. There are also more than 9 million home businesses. None of these markets are in the direct path of the two dominant companies. It will require highly efficient routes to earn profits in this growing segment of the market. In this setting the term “local service area” has real economic importance for the smaller operator. It seems that the bigger a company gets, the less trust it places on its sales people. Almost no one in a dominant company will be given authority to deviate from a price list. Also, it becomes harder to get special services for a good customer. When a small company empowers its salespeople to be flexible and make decisions, it’s easy to out-perform a dominant company in both price and service. Why Disneyland is known as “the magic kingdom” is that it’s a big company that actually delivers great personalized service. Most big companies lose their magic in a bureaucracy of operating procedures and rules. The “magic trick” is make sure your company never stops enthusiastically delighting its customers. 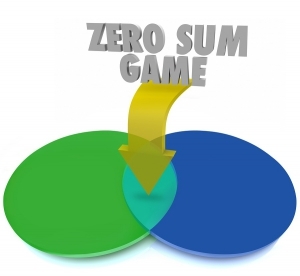 A Zero-sum contest is a situation in game theory in which one person’s gain is equivalent to another’s loss, so the net change in wealth or benefit is zero. For example, if one company wins a customer, the second company loses the opportunity to service that same customer. No increased benefit results – it simply changes hands. In practice neither a small or dominant company can afford losses, but a small company can achieve lower operating costs and in many cases “win” business with a bid that is lower than a big company is willing to go. New Markets – focusing on businesses with fewer than 100 employees. Offering competitive pricing and service where it makes sense.